DASH was created as a fork of the Bitcoin codebase with features added to improve security, anonymity, and speed. Originally launched under the name Darkcoin in 2014, DASH operates as digital cash which can be anonymously spent around the world, partnering with merchants to integrate its DASH coin as payment in stores. Users of DASH can send money instantly to anywhere on the planet using its InstantSend technology. It also employs a coin mixing technique to hide transaction information known as “PrivateSend” which mixes multiple inputs into each transaction. The DASH network is self-funded, meaning, 45% of newly minted tokens go to miners, 45% goes to masternodes, and 10% goes to a treasury which supports the growth of the network. This creates a sustainable ecosystem which is able to grow over time without the need for volunteer or outside support. The DASH network also touts masternodes which are paid-out for holding DASH tokens and staking them to the network. Masternodes help to validate transactions after they have been mined by blockchain miners, as well as allow for added blockchain features such as InstantSend and PrivateSend. The reward for successfully mining one block on the DASH blockchain is about 4 DASH. Unlike many other blockchains, the distribution of wealth on the DASH network is very widespread, with the top 100 DASH wallet addresses only holding about 15% of the coins in circulation. Start mining! Your accumulated DASH will be directly deposited periodically into your wallet. Which miners are used to mine Dash Coins? DASH is extremely forthright about ASICs being the best route for mining its cryptocurrency (even going so far to state this on its website). The cryptocurrencies hashing algorithm, X11, was actually developed by DASH core developer Evan Duffield to simultaneously utilize 11 separate hashing algorithms. Additionally, the DASH uses Dark Gravity Wave (DGW) to adjust its difficulty level every block, adding to the complexity of DASH mining. 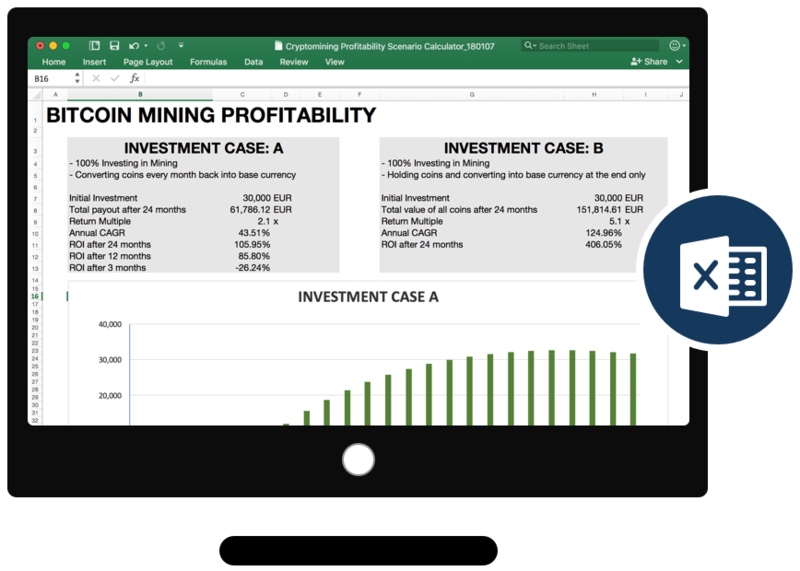 See your mining income, compare it to costs, calculate profits, and tweak your mining strategy accordingly. Your hardware is 100% yours – it is not shared with anyone and all its mining proceeds accrue entirely to you. Cost is the biggest factor in mining – and we have that angle covered by sourcing only low-cost, sustainable energy. Our services are green, growing, and made and maintained in Sweden’s tech-savvy and crypto-friendly climate. We can host the latest DASH mining hardware at a low cost. Mining equipment subject to availability.